Peeeee eeeewwwww! Who put VEGETABLES in my sausage jar?!? Mais tante Fifi n’est pas verte ! 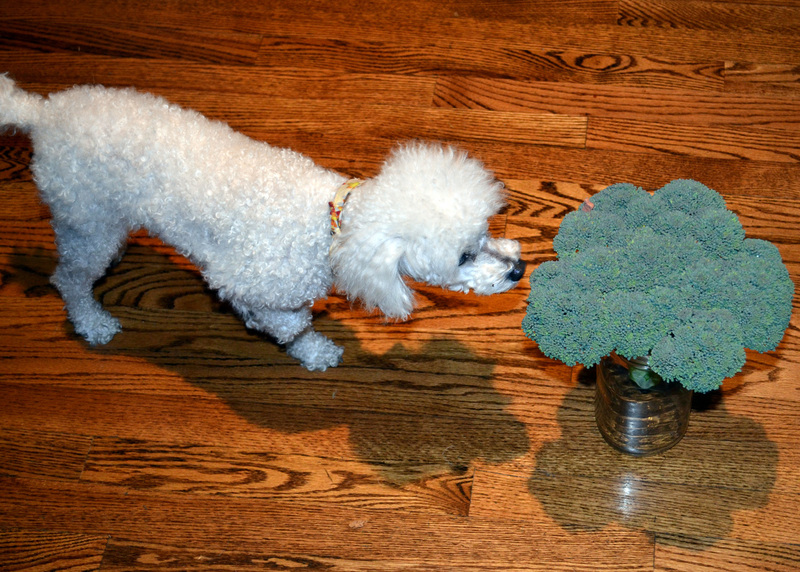 I’ve never seen an albino broccoli before. You MUST give me the name of your salon!